In a medium bowl, stir together the ground chicken, scallions, spice mix, soy sauce and sesame oil until well combined. To assemble the potstickers, arrange the wonton wrappers on a work surface and fill a small bowl with water. Spoon about 2 teaspoons of the chicken mixture into the center of each wrapper. Dip your finger in the water then run it around the edges of each wonton wrapper. Fold the wrappers in half, pressing the edges together to seal them. Place a large sauté pan over medium heat then coat the pan with vegetable oil. Once the oil is shimmering, add a single layer of potstickers to the pan and cook them for 1 minute or until they are golden then flip them and cook them an additional 1 to 2 minutes until the filling is cooked throughout. Transfer the potstickers to a serving plate then repeat the cooking process with the remaining potstickers. 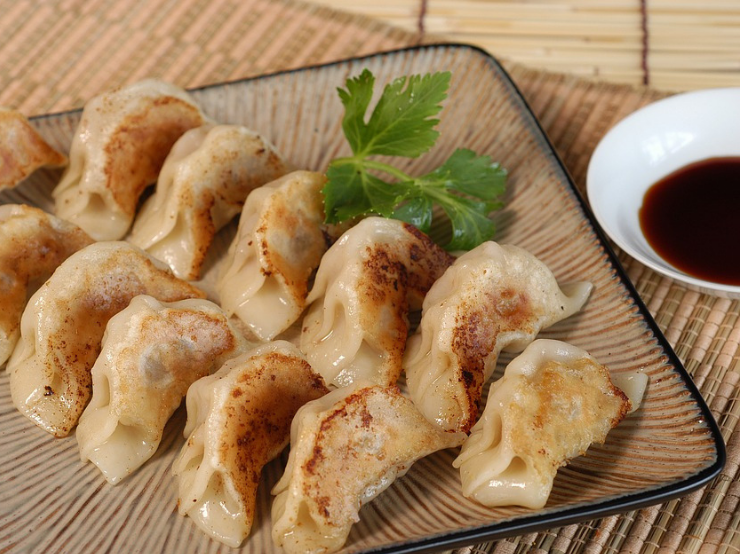 Serve the potstickers immediately with the prepared dipping sauce. 1. 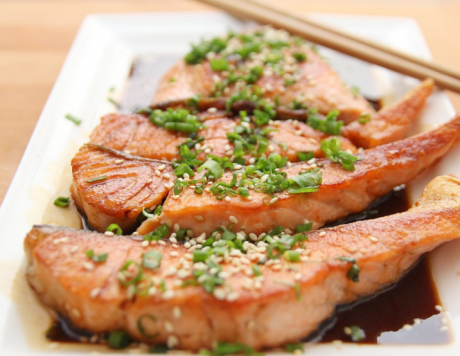 In a medium bowl, whisk together the soy sauce, water, rice wine vinegar, sesame oil, sugar and crushed red pepper flakes (optional). Set the sauce aside.